With the advance of technology, the graphic aspect in video games has evolved more and more, up to the photorealism. Yet we often find titles that focus on everything graphics, leaving out other aspects like gameplay and plot, which makes a long game session frustrating and boring. On the question he wanted to express himself Dmitri Glukhovsky, the author of the novels from which the games are inspired Metro, Stating that the plot of a video game is much more important than graphics. It's like in the 3D movies. When you go see an 3D movie how long does it take before you stop being excited about the 3D? Maybe five minutes? Then it's the story that continues to make you passionate about the film. If you go to see a Transformers movie you get bored after five minutes, whether it's 3D or not, because the story is stupid. If you look at Breaking Bad, however, there is no 3D, all is told in three sets and the cast is about five people. Yet you can not stop following it because it is so exciting, compelling and breathtaking. We talk about this. History comes first of all. 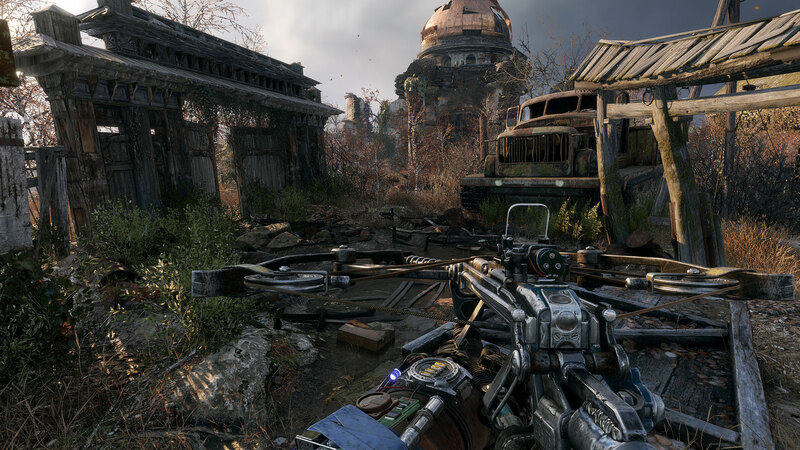 The February 15 will arrive on PC, Xbox One and PlayStation 4 Metro Exodus, at this point we can expect a truly wonderful storyline.